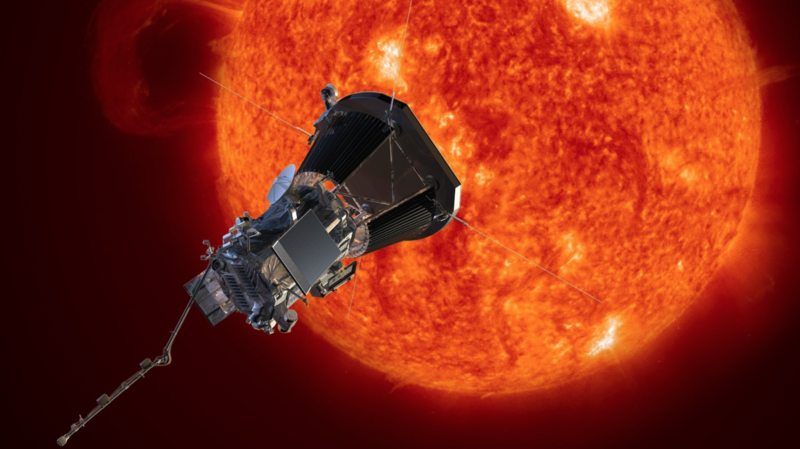 NASA’s Parker Solar Probe is in its final, home-stretch of processing prior to its scheduled launch which is now No Earlier Than (NET) 6 August 2018 atop a United Launch Alliance Delta IV Heavy rocket. The mission, which will be humanity’s first to “touch the surface of the Sun”, is preparing for encapsulation inside its payload fairing at the Astrotech processing facility in Titusville, Florida – after which it will be mated to the top of the launch vehicle. Launch site preparations began in earnest in July and August 2017 with the arrival of the three Common Booster Cores of the Delta IV rocket that form the first stage of the Delta IV Heavy configuration. The Delta IV cores were all assembled in Decatur, Alabama, just west of Huntsville. After mating the three Common Booster Cores together, technicians inside the Horizontal Integration Facility at SLC-37B mated the Delta Cryogenic Second Stage (a modified version of which will serve as the SLS Block 1 rocket’s second stage) to the top of the three boosters in March 2018. 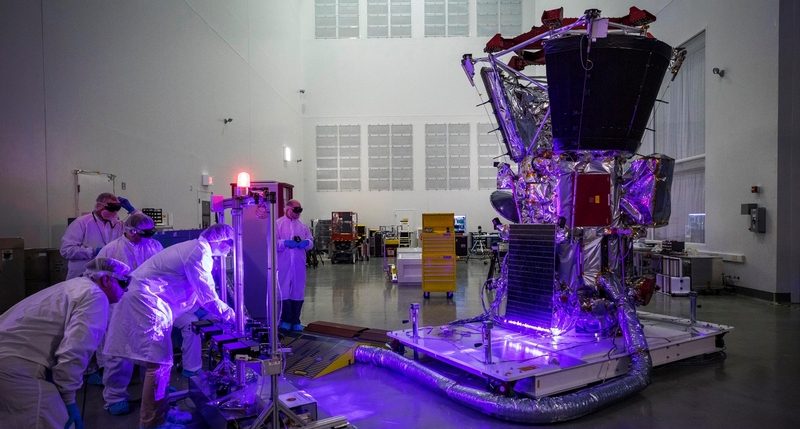 Immediately thereafter, the Parker Solar Probe itself arrived in Titusville, Florida, at the Astrotech processing center on 3 April – where its final sequence of processing activities and checkouts for launch began. For the rocket, after a month of integrated checkouts in the integration facility, United Launch Alliance engineers rolled the assembled Delta IV Heavy the short ways from its hanger to the launch mounts at SLC-37B on 16 April and erected the rocket on the pad the following day. Unlike the other rockets currently available in the U.S. fleet, the Delta IV, especially the Heavy variant, spends by far the most amount of time on its seaside launch pad undergoing final launch preparations. Extended, multi-month pad flows are not only common for this particular rocket offered by United Launch Alliance (ULA) but is done, in part, to assure the rocket’s functionality for critical missions – such as Parker Solar Probe, which needs to launch in a very short interplanetary launch window. To this end, extensive testing has been undertaken by the ULA team to ensure all of the Delta IV Heavy’s systems are functioning properly and that any avoidable, last-minute surprises on launch day or during the duration of the launch window are evaded. The testing is not entirely foolproof, with certain elements of the rocket subject to the so-called “lightbulb test” – meaning regardless of how many times they are tested, they can still break or malfunction when needed. Nonetheless, such rigorous testing of the rocket in the months and weeks leading up to launch can root out several potential problems that can be fixed ahead of time, thus allowing the mission to launch without delay. For ULA, part of this campaign for Parker Solar involved Wet Dress Rehearsals: a complete fueling of the Delta IV Heavy under the same conditions it will experience on launch day and a rundown of the countdown with various anomalies thrown in to test the launch team and ensure they are ready to handle any situation that might arise during an actual launch countdown. For this particular mission, the Delta IV Heavy and ULA teams underwent two Wet Dress Rehearsals, with the first occurring on 27 June and the second following on 6 July. Following the two Wet Dress Rehearsals, updated Eastern Range schedules seem to reflect that all went well with the tests, with no major issues discovered with the rocket ahead of final integration and launch preparations. However, a small issue with the Parker Solar Probe at its Astrotech processing facility did present last Friday, 13 July. The issue is not an impact to the scheduled launch (confirmed by updated Eastern Range schedules on Monday, 16 July) largely because the tubing leak was on the ground side of the processing equipment and not on Parker Solar Probe itself. This is good news as Parker Solar and its third stage are scheduled to be encapsulated inside the payload fairing this week ahead of transport to the launch pad for mating and integration atop the Delta IV Heavy rocket. The third stage for the Parker Solar Probe launch is a Star 48BV solid rocket motor originally developed by Thiokol Propulsion – then ATK, then Orbital ATK, and now Northrop Grumman. The Star 48 stage takes its numerical designation from the rough diameter of the propellant casing (as measured in inches) and has been used on previous high-profile scientific missions for NASA – most notably as the third stage on the Atlas V 551 rocket that launched the New Horizons mission outward to Pluto and the Kuiper Belt in January 2006. This will be the Star 48’s first use on a Delta IV Heavy. Once the Parker Solar Probe and its Star 48 upper stage are encapsulated within the payload fairing, the entire assembly will be transported to the launch pad and lifted atop the rocket, where they will be mated and secured for liftoff. Once that operation is complete, the United Launch Alliance team will perform their Mission Dress Rehearsal, currently scheduled for 1 August according to current Range schedules. The Mission Dress Rehearsal is quite different from the Wet Dress Rehearsals. In this case, the rocket will not be fueled with any propellant. Instead, the Mission Dress Rehearsal is a final countdown practice designed to be a nominal run through the count with no simulated anomalies – the purpose of which is to allow the launch team to know what to expect going into launch. While the Eastern Range schedule does not reveal the specific time at which this Mission Dress Rehearsal will take place, ULA sometimes aligns them for the actual targeted launch time, which in this case would result in a Mission Dress Rehearsal T0 of 04:17 EDT (08:17 UTC) on 1 August. Depending on the mission, the launch team might also continue the Mission Dress Rehearsal past the T0 point, simulating a nominal ascent and launch all the way to payload separation. Presently, the Parker Solar Probe mission’s interplanetary launch window to Venus opens on 31 July and closes on 19 August. Due to its unique science orbit, the probe must be launched at a very high velocity and use the planet Venus to gradually reduce its orbit for ever-closer approaches to the Sun. Thus, the probe must launch within the upcoming Earth-Venus alignment to permit the seven Venusian flybys required for the mission. Prior delays to spacecraft processing slipped the launch from the opening day of its window to No Earlier Than 4 August in a 45-minute launch window that extends from 04:17 to 05:02 EDT that day. 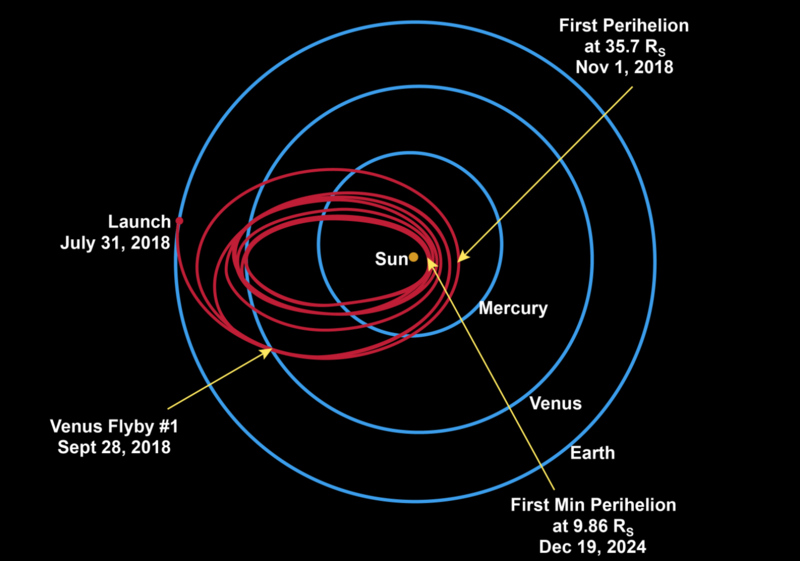 As far as Eastern Range scheduling goes, Parker Solar Probe has precedence on the Range due to its need to launch within the short interplanetary window between Earth and Venus. A SpaceX mission was currently scheduled on the Range two days prior to Parker Solar Probe, with a Falcon 9 set to launch the Telkom-4 satellite from SLC-40 on 2 August about 50 and one half hours prior to Parker Solar Probe’s opening launch attempt. However, the launch date for PSP has moved to the right two days via an announcement on Wednesday. The only other mission on the Range within the Parker Solar Probe window is another SpaceX Falcon 9 rocket with TelStar 18V, which according to a Range manifest update on Monday, 16 July is scheduled to launch NET 17 August from SLC-40 – two days before the end of the Parker Solar Probe launch window. While neither of the SpaceX launches, right now, are impediments to the Parker Solar Probe launch, mission dates often realign and slip a few days based on previous mission actuals and overall processing timelines. Should one of the SpaceX missions become a potential impediment to Parker Solar Probe’s launch, negotiations between SpaceX, NASA, United Launch Alliance, and the Eastern Range would have to take place to determine launch order. In such a scenario, it is highly likely that SpaceX would agree to slip and move around the Parker Solar Probe mission, as Range users generally try to accommodate each other and short, mission-specific launch windows – knowing full well that there might come a day when they have to ask another provider to slip due to one of their missions having to launch within a short window. 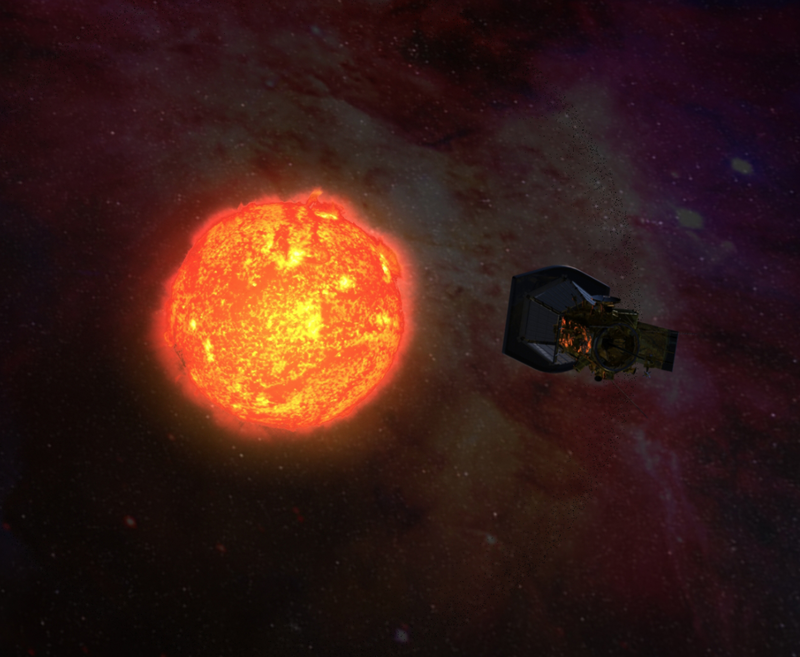 Looking beyond the current August 2018 launch window, should something occur that precludes Parker Solar Probe from lifting off by the close of its interplanetary launch window on 19 August, NASA and United Launch Alliance will have to wait until May 2019 to launch the mission due to Earth-Venus orbital alignments. 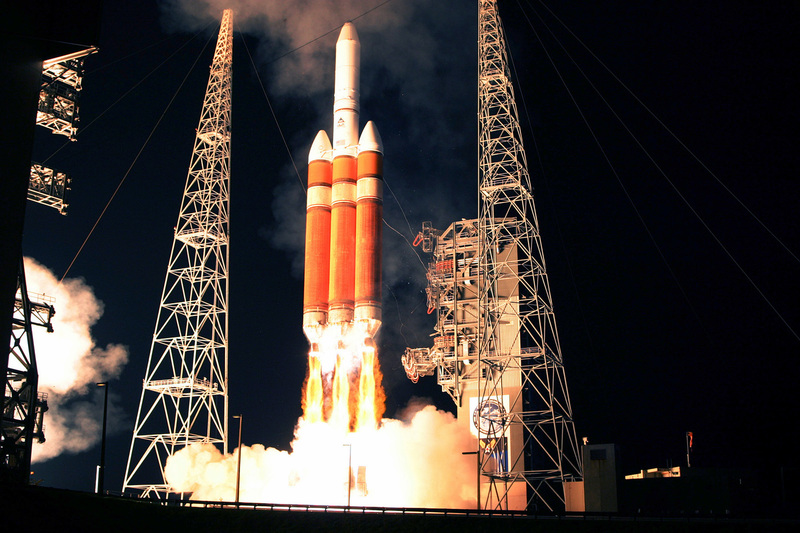 If the August launch date holds, this will be the first Delta IV Heavy to fly in over two years. The last Delta IV Heavy launched on 11 June 2016 from SLC-37B with Orion 9/Mentor 7 on a classified mission for the National Reconnaissance Office (NRO). A second Delta IV Heavy is currently scheduled to launch later this year, that one also for the NRO and flying from SLC-6 at Vandenberg Air Force Base, California. Following that, only five Delta IV Heavy missions remain – one per year. All of those remaining missions are for the NRO.